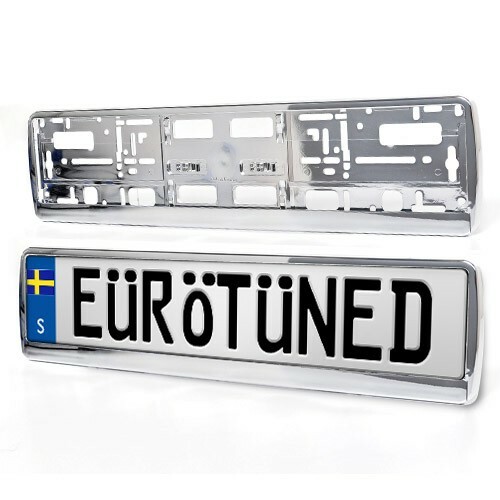 These frames and mounts are the perfect add-on for a custom Europlate! They eliminates the need for drilling holes in your new plate, and make it easy to swap them out. 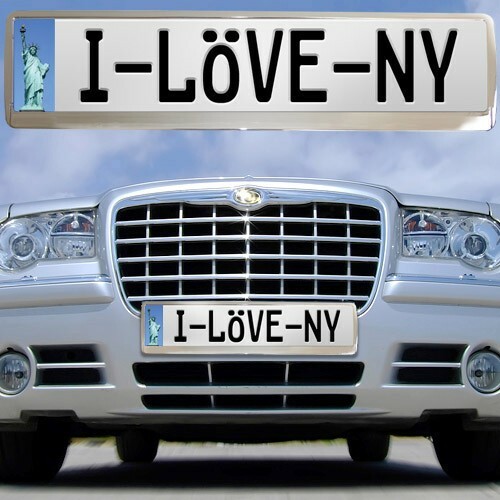 If your car is chrome accessorized, then this is for you. 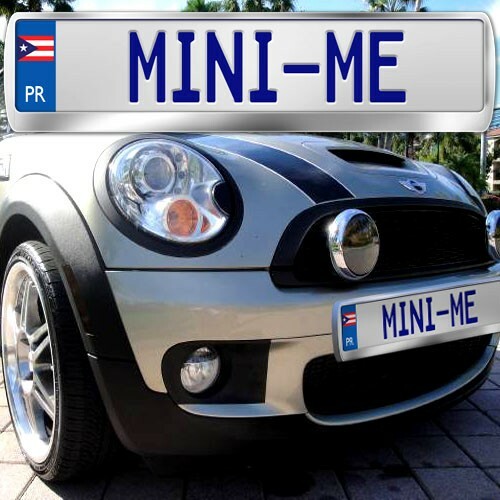 Mini, Benz, GTI, Bimmer, you name it. 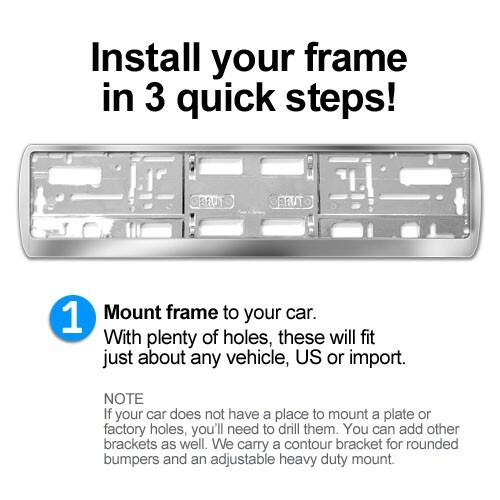 The frame is a universal mounting bracket. Just mount it to your vehicle in any of the available place. You can see all the holes where you can connect it. 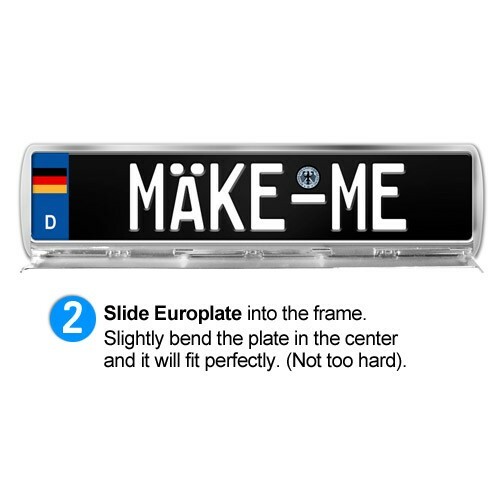 This frame is sized for standard EEC 520mm plates--exactly fitting the Europlates we make. Save $4.00! 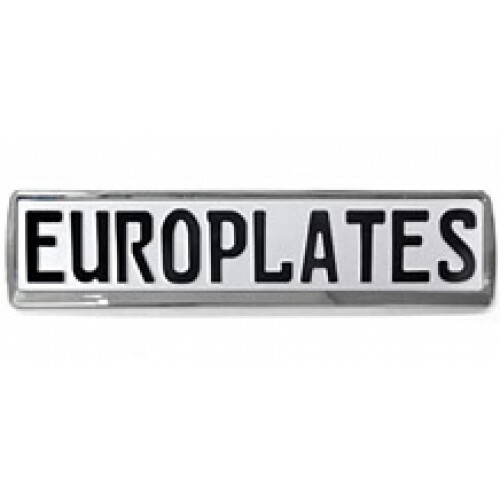 Add this frame to any Europlate, and the price is just 15.95! 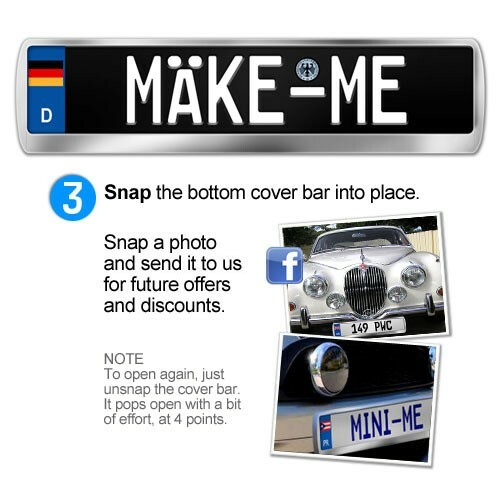 From our design app, just choose, Add a Frame! Installation note: Not all modern cars have a factory installed place to mount a front plate. 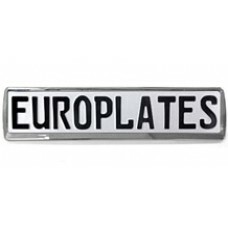 While an uncaring dealer might drill half-hazardly into your BMW's brand new bumper, we have other mounts that you can then connect our Europlate and frame to. 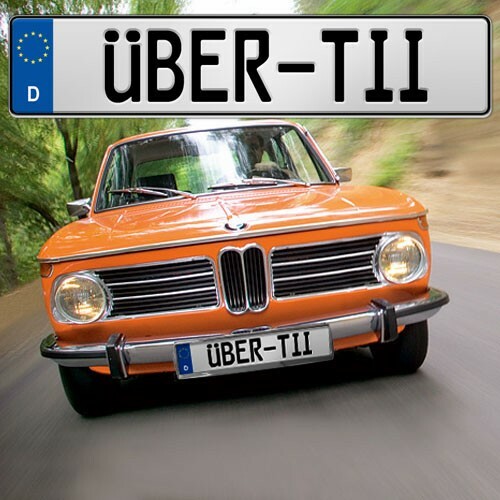 We recommend you add a quality mount if needed.